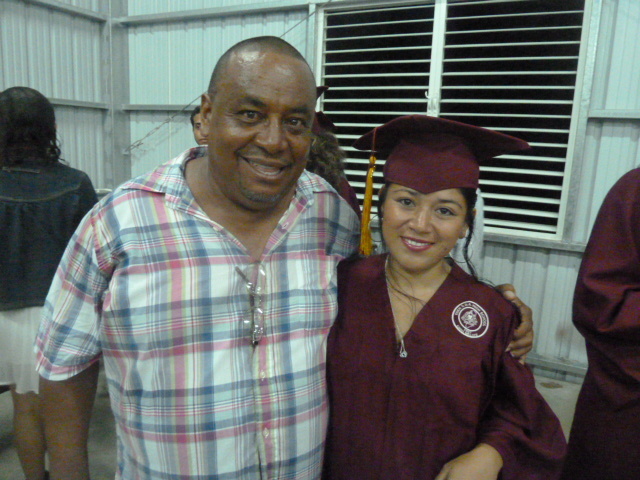 My good friend Lourdes (Ludy) received her high school diploma Friday night. A single mother of two kids, she attended night classes, for adult students, for four years–attending classes from 5:30 to 9 p.m. every night during the school year. Like many Belizeans she had to quit school to work (and a lot of the students told me about the “bad choices” they made in their regular school years that forced dropping out). 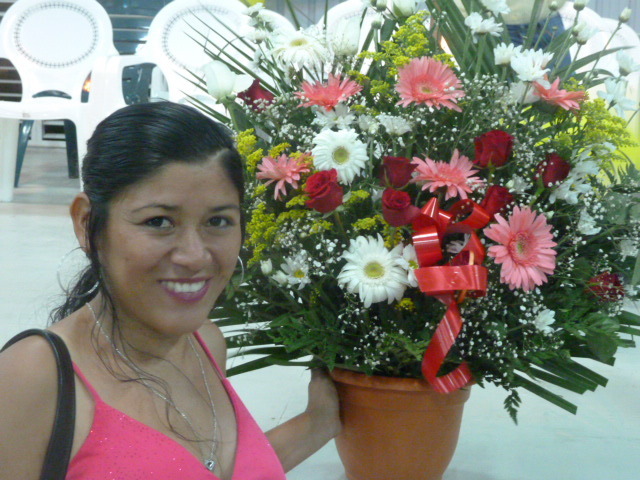 She worked as a housekeeper at resorts and private homes for years at the island town of San Pedro before moving back home to San Ignacio a couple of years ago to take care of her mother. She was doggedly determined to get her diploma. 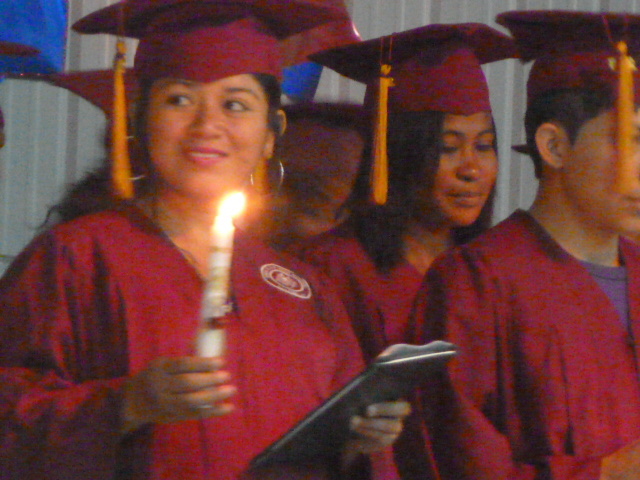 Belize has nothing like a GED and students have to go back to school full-time to get a diploma. 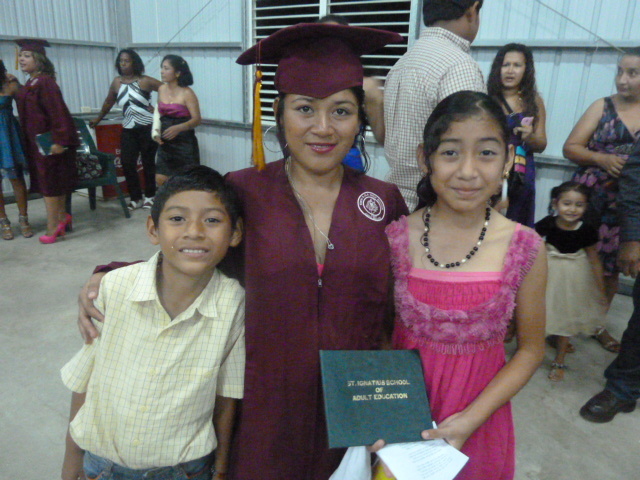 Ludy the grad with her beloveds Felix and Stephanie. 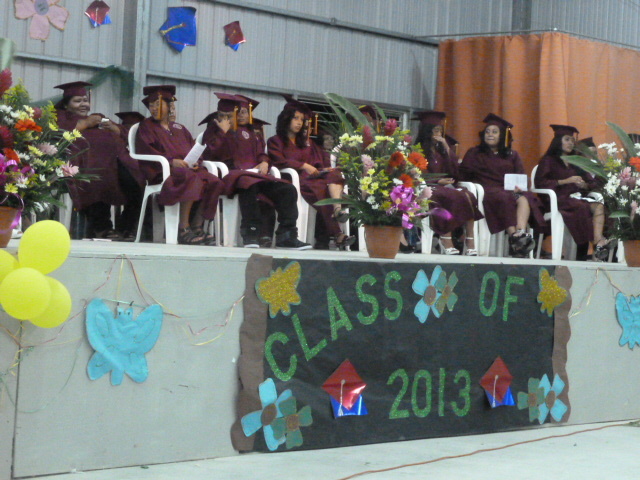 Forty-eight adults who attended “adult education” night school at St. Ignatius High School graduated Friday night. These graduates showed enormous determination in going back to night school, most of them for a number of years while working and many working and raising children too. Many had to drop out when they were school age because they got into trouble of some kind or another. Flower arrangement I bought for Ludy for her big day. Cost of flower arrangement from a florist who lives down the street from me–and had a son who graduated with Ludy Friday night–$25 U.S. I’m pretty sure Ludy is the only grad who got flowers, or must have been one of only a few. Many of her 47 classmates asked if they could pose with family members for pictures with these flowers and I took pix with their cameras of them. 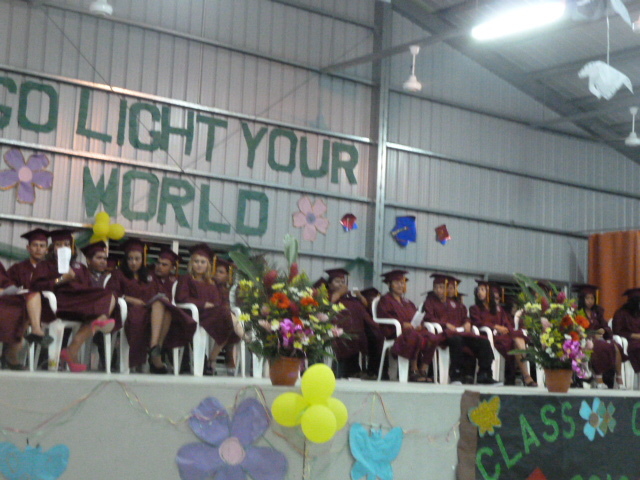 I was much in demand for that with people lining up behind me for pictures with Ludy’s flowers–my contribution to the high school’s Adult Education Class of 2013. Thank you for making your world a better place and being such a bright light for your children. May God bless! CONGRATULATIONS LUDY! Your determination and hard work has paid off. You have been a beaming light for your children and family and now to the world. I would like to offer my congrats as well. We should never stop learning or our minds will grow weak. This comment comes from someone that graduated from college when I was 46. To paraphrase “Animal House,” 28 years of undergraduate work finally paid off!